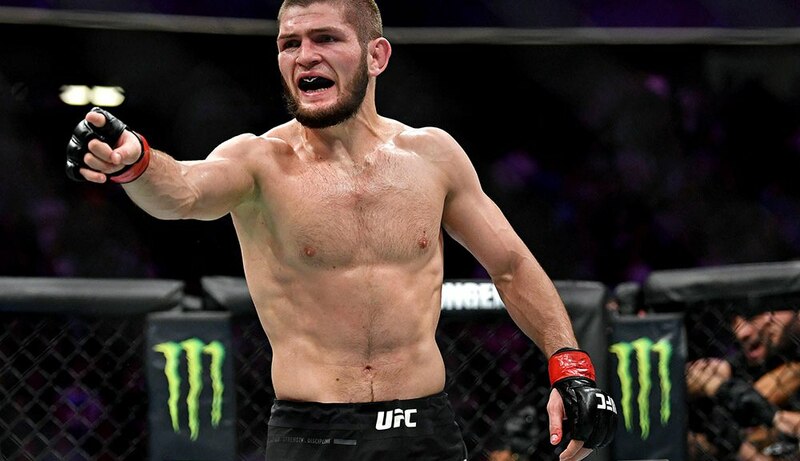 Khabib Nurmagomedov to the UFC: "If you cut my teammate, you'll lose me too"
Now with UFC 229 officially behind us, we patiently await to see what the fate will be for the teams of both Khabib Nurmagomedov and Conor McGregor as a result of the insane donybrook that occurred last Saturday night. Once the UFC gets prepared to give out those repercussions, they might have to heed a serious warning from their reigning lightweight champion. Earlier today, Nurmagomedov issued a warning to UFC officials stating that should they decided to release any of his teammates for what happened after UFC 229 he would walk away from the organization as well. In the post, Nurmagomedov specifically mentions his team mate Tukhugov’s name, daring UFC president Dana White to live up to his threat to release any fighters that participated in the UFC 229 post fight rumble. Tukhugov was scheduled to take on Conor McGregor team member Artem Lobov at UFC Moncton on October 27th, but now that fight is in serious question should Tukhugov get sanctioned by UFC officials. Nurmagomedov also brought into account how the UFC handled his situation compared to McGregor’s UFC 223 in Brooklyn when he savagely attacked a UFC bus transporting fighters, while tossing a large dolly through the window and severely injuring fellow UFC peers Ray Borg and Micheal Chiesa. Here is Khabib Nurmagomedov’s statement in it’s entirety . “I would like to address (the UFC). Why didn’t you fire anyone when their team attacked the bus and injured a couple of people? They could have killed someone there, why no one says anything about insulting my homeland, religion, nation, family? “In any case, punish me, (Zubaira Tukhugov) has nothing to do with that. If you think that I’ll keep silent then you are mistaken. You canceled Zubaira’s fight and you want to dismiss him just because he hit Conor. But don’t forget that it was Conor who had hit another brother first, just check the video.